The technology company Apple announced a new, smaller sized iPhone on Monday at a press event in Cupertino, California. Apple head Tim Cook said customers had asked that the company continue making four-inch products. He said the new iPhone SE, satisfies that demand. It is the same size as the iPhone 5 and 5s. But, the SE includes the better hardware of the most recent iPhone, the 6s. And, Apple is offering the iPhone SE for a lower price. An iPhone SE with 16 GB of storage will cost around $400. One with 64 GB will be about $100 more. 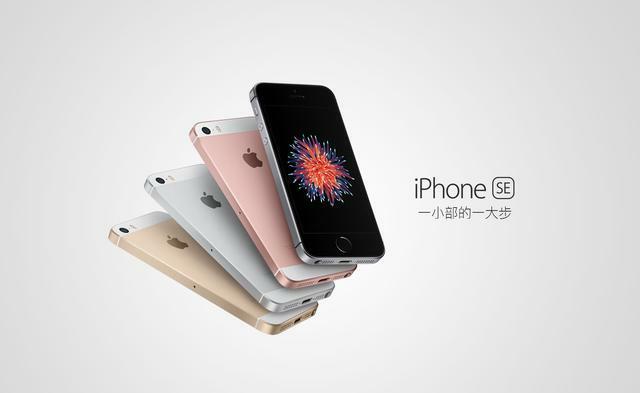 The iPhone SE shares the same design and materials as the 5 and 5s. However, the new model adds a color choice: rose gold. Last fall Apple introduced the iPad Pro, its largest iPad ever. At 12.9 inches, or 32.766 cm, the iPad Pro screen is as big as that of some laptop computers. At the event on Monday, Apple announced a smaller version of the iPad Pro, with a screen measuring 9.7 inches, or 24.638 cm. That is the size of the original iPad screen. The iPad Pro is designed for possible use as a laptop computer. The device has powerful hardware and storage capacity up to 256 GB. This iPad Pro works with Apple's stylus, called the Pencil. It also works with the so-called Smart Keyboard, which also serves as a cover. The screen of the iPad Pro has been improved to make it easier to read in bright light, such as sunlight. The cameras are also more powerful, both front and back, to take better photos. The iPad Pro will cost between $579 and a little over $1000. iOS, the operating system for the iPhone and iPad, received an update this week to version 9.3. New features include the ability to protect Notes using a password or your fingerprint. Apple also introduced Night Shift, a mode that changes the brightness of the screen based on the time of day and location of the device. Night Shift reduces the amount of blue light that the screen displays at night, as blue light has been shown to interfere with sleep. Apple is making getting an Apple Watch a bit easier by cutting the price. The price of the least expensive Watch has been reduced by about $50 to $299. The latest model of Apple TV also got an update. Now, it includes folders to organize apps, such as entertainment, games and news. And, Apple's voice assistant Siri can search for a movie or enter passwords. The company also reported on its sustainability efforts to use 100% renewable energy at all of its facilities. Currently, Apple says it uses renewable energy at 93% of its facilities. There was a major twist in the fight between Apple and the Federal Bureau of Investigation. The FBI had sought legal action to force Apple to help unlock an iPhone. Investigators were seeking information connected to the deadly terror attack in San Bernardino late last year. This week, the FBI told a court investigators might not need Apple's help anymore. The agency said it thinks it has found another way to access the phone. The factory is now trying to manufacture a new model. I really like your new laptop computer. This research is the first to show that positive mood can negatively impact working memory storage capacity. The White House has issued an alert for American tourists traveling in Europe over fears of a terror attack. 1.The device has powerful hardware and storage capacity up to 256 GB. The bill footed up to $1,000. It's up to you to pay back all deposits. 2.This iPad Pro works with Apple's stylus, called the Pencil. For the sake of convenience we shall work with the space. His secretaries work with system.